Concealers are vastly underrated in my opinion. 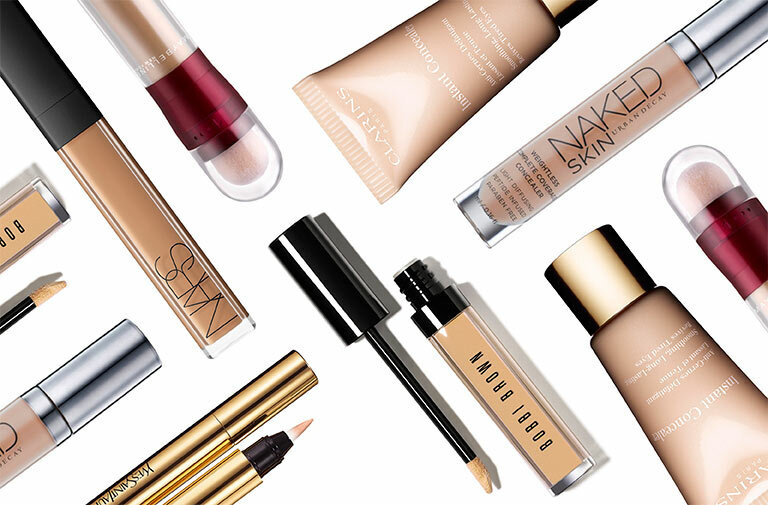 As a Professional Makeup Artist, I get lots of questions about choosing the best foundation. But as I explain to my clients, having a good foundation is only part of the answer to having flawless looking skin. Even if you have uneven skintone or acne, the best way to achieve gorgeous skin is to not overdo it on the foundation front and to use the right concealer to add extra coverage where needed. In my experience (I have been in the makeup industry for 10 years) there are some pretty bad concealers on the market. Some sit in fine lines, some are greasy and some are very dry and flaky. The other problem is that often women choose the wrong shade of concealer and end up with the infamous ‘panda eyes’ so rather than concealing the area they draw attention to it. Over the years I have bought hundreds of different brands concealers and only a few have really impressed me. I would like to share with you the best of the best that deliver excellent results every time. Avoiding any expensive mistakes that disappoint on results. Clinique Airbrush Concealer – this product delivers amazing results every time! It has a good balance of coverage and light reflection so it softens lines and shadows and also illuminates and perfects your complexion and eye area. Ariane Poole Mineral Illuminating Pen – Photo-reflective pigments in the multi-mineral, illuminating complex will help brighten the skin while gently reducing the appearance of fine lines. Also apply wherever you see dark shadowy areas, imperfections or fine lines. It also looks great applied around the lip area to create the illusion of a fuller pout. Use across frown lines, marionette lines and smile lines to give the illusion of botox and filler without the pain. Ariane Poole Concealer Palette – Voted “Best Concealer” by She Magazine and featured in the Sunday Telegraph Magazine and Essentials plus Hello Magazine. This is my new favourite go-to concealer product! Multi-functional, yellow-based palette contains 3 shades of concealer that can be custom blended to suit your individual colouring all year round. Its unique creamy formulation glides on smoothly then transforms to a demi matte finish. Vichy Dermablend Corrective Foundation – don’t let the name confuse you, this is far too thick and heavy to use all over the face as a foundation. However it is brilliant at covering dry spots and flaky areas. Mel offers Makeup Lessons and is based in Harrogate, North Yorkshire. Follow Mel from lots more makeup advice and tips.